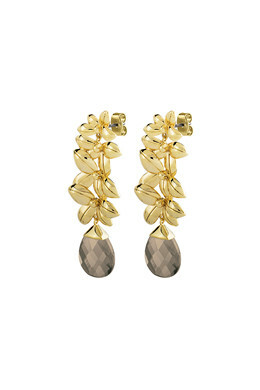 Eye-catching studded flower shaped drop earrings, in a gold toned finish. The earrings has a translucent sand-coloured facet cut crystal pendant. 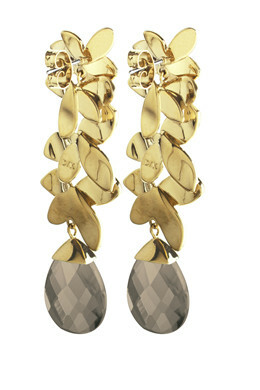 The earrings will lend you sparkle and shine to light up day and night. With a butterfly closure. - The earrings are designed in hand polished stainless steel and hook or post in surgical steel.